While the company says this month’s events will focus on Tesla’s ‘Summon’ feature, it will likely be a good occasion to showcase the updated Model S to current owners potentially looking to upgrade their vehicle. 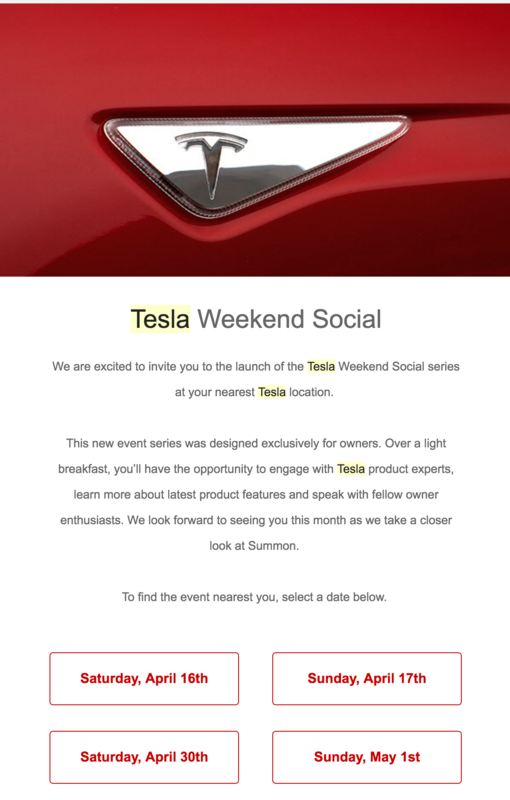 The Summon feature allows Tesla owners to remotely move their vehicle without anyone in it. It is primarily used to move the Model S, and now Model X, in and out of a garage autonomously. While the feature is currently very limited, Tesla CEO Elon Musk described the release as “first baby step” of the ‘Summon’ capability and sees a future potential for summoning your car from across the country.